From the Emmy-winning producers of AMERICAN WINTER, The Race To Save The World is a feature documentary film that follows the personal stories of people who understand the inevitable consequences of climate change and who have devoted themselves to taking action. There is an undercurrent of change that is starting to happen, and The Race To Save The World will capture this rising tide over the next year, and ultimately help bring a whole new population into the growing movement to fight climate change. Some environmental films hope to scare the public into waking up to the dangers of relying on fossil fuels. But that approach ignores the reality that many people either don’t believe, or can’t bear to fathom, the frightening consequences of climate change so they tune out these documentaries and their message. The Race to Save the World focuses on the personal side of this issue, creating relatable, authentic story arcs that viewers can connect with. Our goal is to use life-in-progress storytelling to inspire those on the sidelines of the climate change movement to get involved. 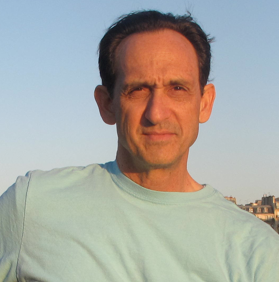 Joe Gantz is known for work that examines personal stories with honesty, humor, and depth. He produced and directed Taxicab Confessions, the Emmy award-winning HBO documentary series featuring real-life interactions between cab drivers and their passengers that has been broadcast for fifteen years. Through his work with his brother Harry, they’ve honed a documentary style they call, “life in progress” that allows them to make their subjects so comfortable that they quickly go about their daily life, as if there was no one filming. The subjects are not performing; they are guiding this story, and the camera transports you into their lives, making for very authentic stories. American Winter is about families struggling in the wake of the worst economic crisis since the Great Depression. The film follows personal stories that reveal the impact of rising poverty and a shrinking middle class in the U.S., and was nominated for an Emmy Award and a Ridenhour Prize (a prize for acts of truth-telling that protect the public interest). Since American Winter was broadcast on HBO, we had successful screenings with non-profit partners in over 100 cities to bring attention to the issues of rising poverty, homelessness, food insecurity and the need for social services. And we are very proud that this film had a significant part in the movement to raise the minimum wage. Four subjects from American Winter were invited to testify at a Senate hearing entitled, “The State of the American Dream – Economic Policy and the Future of the Middle Class”, moderated by Senators Elizabeth Warren and Jeff Merkley. For The Race to Save the World, we are using a personal approach to emotionally-engage viewers in this urgent fight against catastrophic climate change.